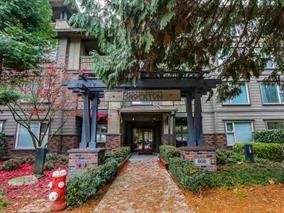 Great entry-level modern two bedroom condo in the 'Brockton'. Walking distance to everything! Bring your paint brush! With a little TLC this 880 sq. ft. living space in a well built building will make you proud! Need a roommate? The Justice Institute is directly across the street. Glenbrooke Middle School, F.W. Howie Elementary, New West Secondary are all short walks away. Starbucks within 200 yards for those lazy weekend mornings. Walk your dog in beautiful Queens Park only a short stroll away. The Canada Games Pool and New West Rec Centre are also a stones-throw away if you are a fitness buff. 20 min from downtown Vancouver. 20 min from Langley. New Westminster is in the centre of it all! Stop renting. Get into the market today!